After a person is arrested they will be arraigned, which often includes standing before a judge in order to hear the charges brought against them and learning their bail amount. If the defendant is to be released prior to their upcoming court dates they will need to pay this dollar amount. However, this figure can reach into the tens or hundreds of thousands of dollars or more. Understandably, most folks don't have this sort of money on hand. Thankfully there's another way top post bail without the need for having that much cash available. A bail bond can be issued by a professional bail agency for a fraction of the price. The bond is guarantee that the defendant will appear at their future court dates and won't skip bail. If they do skip town the person who filed for the bond will be responsible for paying additional fines. Aside from lower upfront costs, why else should a person use a bail bond when trying to secure the release of a loved one? 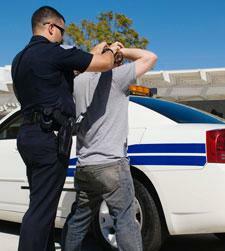 It's important to remember that you must use a licensed bail agency to file for a bail bond. This agent can help get your loved one released fast, sometimes in as little as one hour following their arrest. So, not only does using a bail bond make posting bail more affordable, it is also a way to secure a quick release. As mentioned. posting bail by paying the full bail amount can be very difficult due to the high price. While you generally get a majority of the money back if you post bail in cash, assuming the defendant appears at their court dates, it is unlikely you have tens of thousands of dollars laying around to tie up in bail fees. A bail bond usually costs about 10 percent of the total bail amount. This is a one time fee and as long the defendant appears at all of their court dates you will owe no more money. Posting bail using a bond is also affordable because it can be done using a credit card and sometimes with collateral. An professional bail bond agency will work with you to create a custom payment plan if necessary. If you find yourself needing to post bail in Kelseyville or the surrounding Northern California communities be sure to contact Rob Brown Bail Bonds. We work quickly to get people released from jail. To learn more about bail bonds or to request a California bail bond give us a call at (707) 587-4563. We're available day or night!